They saw their work in gathering the fairy tales of Europe as an academic exercise, but the Brothers Grimm-aka German folklorists and linguists JAKOB (1785-1863) and WILHELM GRIMM (1786-1859)-are today remembered best as tellers of dark stories for children. Here, in one compact volume, are 53 of the most beloved of the stories they assembled, from well-known ones such as "The Sleeping Beauty," "The Frog Prince," "Rapunzel," and "Hansel and Grethel" to more obscure ones including "The Rabbit's Bride," "Six Soldiers of Fortune," "Faithful John," and "The Three Spinsters." 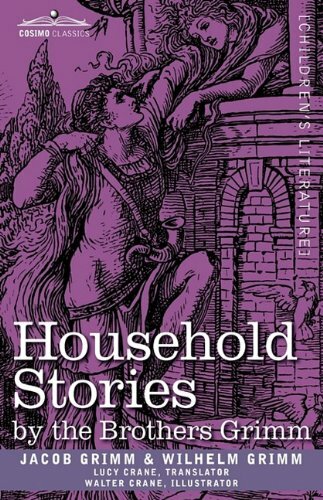 A treasury of classic stories, this replica of an 1886 edition-translated by English writer LUCY CRANE (1842-1882), with beautiful line drawings by her brother, William Crane-will delight children and adults alike.